Mother-daughter book clubs are a great way to encourage reading, bonding, and socializing among mothers, daughters, and their friends. But they can do much more than that, suggests educational psychologist and parenting coach Lori Day. They can create a safe and empowering haven where girls can freely discuss and navigate issues surrounding girlhood. In Her Next Chapter, Day draws from experiences in her own club and her expertise as an educator to offer a timely and inspiring take on mother-daughter book clubs. She provides overviews of eight of the biggest challenges facing girls today, such as negative body image, bullying, gender stereotypes, media sexualization, unhealthy relationships, and more, while weaving in carefully chosen book, movie, and media recommendations; thoughtful discussion questions; and group activities and outings that extend and enrich conversations and make clubs fun. 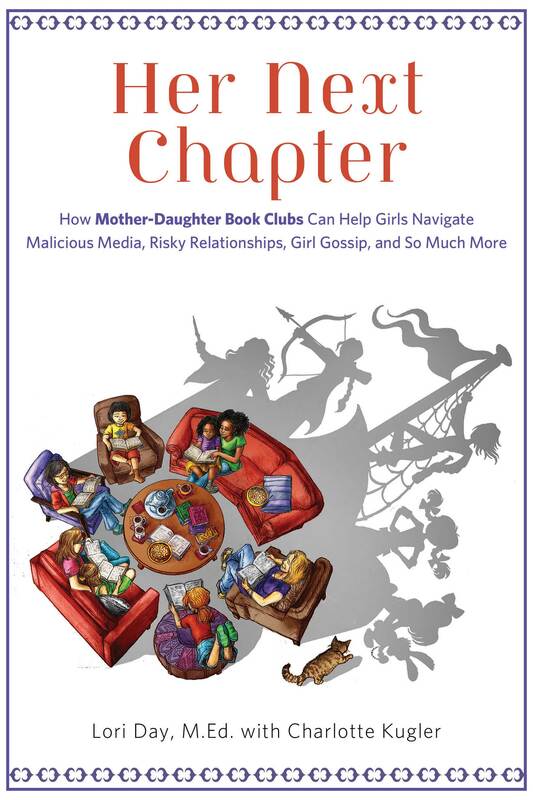 Her Next Chapter outlines how mothers can use the magic of books to build girls’ confidence and sense of possibility as leaders, allies, and agents of change. A list of further resources and reflections and observations from Day’s now-adult daughter, Charlotte, round out this indispensable resource for anyone who cares about, teaches, or works with girls.